My article on behalf of the Women’s Budget Group for Society Central. First published here. 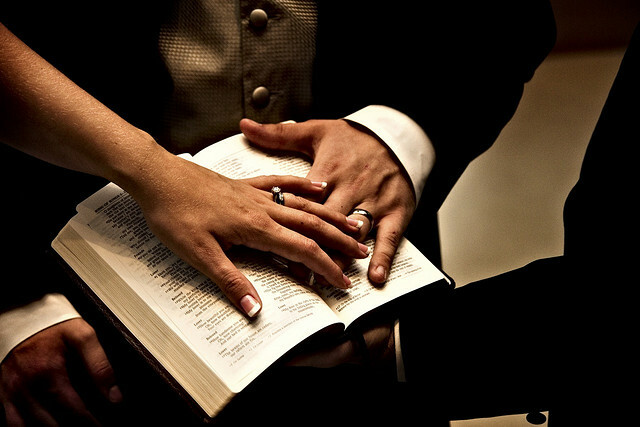 Photo – hands with wedding rings by Greg Kendall-Ball shared under a creative commons license. The TTA (or Marriage Tax Allowance) is a scheme that allows the high-earning partner of married couples (or those in a civil partnership) to use some of their low/non-earning partners’ tax-free allowance. The move promises to reward couples that have taken a vow of commitment to each other but on closer inspection the policy is deeply flawed. Leaving aside the morality of using fiscal policy to shape interpersonal relationships and the radical departure this represents from the Conservative policy of independent taxation, the benefits of this scheme are frankly, unequal. New analysis from the Women’s Budget Group using data provided by the Institute of Fiscal Studies shows that, far from helping families, the beneficiaries of the TTA are actually 85% male. Women are more likely to be the low-earning partner in couples for reasons including (but not limited to) the fact they tend to work part-time or not at all to care for children or relatives. It is mostly men who are the high-earning partner in couples and, therefore, men who will benefit from this tax break. Proponents have argued that a tax break for one partner is saving for all the family. But the idea that an individual’s income is split equally with their partner is questionable. Financial power dynamics between couples are complex and often unequal. There is little evidence to suggest that men split their income equally with their spouses. In fact available evidence suggests that men are more likely than women to use their income for personal spending. This gendered tax relief is therefore unlikely to benefit the rest of the household. It is important not to overstate the impact of this policy, as the rewards are relatively meagre. High earners will be able to transfer £1000 of their annual personal allowance of tax-free income between themselves, as long as neither pays income tax at more than the basic rate. This will mean the high earner in eligible couples will pay up to £200 less tax a year or around £4 a week. Given Cameron’s commitment to extending the tax allowance in the future, this announcement is only the thin end of the wedge. Yet increasing this type of tax allowance will only create further economic disparity between men and women and put increasing pressure on low earners, namely women, to remain unemployed or in part-time work. The limitations also mean that very few married couples will actually benefit. If both partners earn over the income tax threshold it won’t apply. The poorest families (where both partners don’t earn enough to pay tax) also won’t benefit, even though they are most in need of support. Moreover, only 18 per cent of families with children will be eligible, calling into question the Conservative pledge to do “everything [they] can to support families during tough times”. This is because of the eligibility criteria outlined above, but also because many couples with children are not married including the 2 million single parents in Britain today. Finally as couples will need to apply to receive the their tax allowance, this automatically reduces uptake for the sizeable proportion of those who don’t know or don’t know how, to claim. Stranger still, this policy represents a radical departure from Conservative party ideology. Prior to the 1980s, a married woman’s income was treated as her husband’s. Following a consultation on the matter, the Conservatives (along with all the other major parties) rejected a transferable tax allowance, opting for independent taxation instead. The move made sense. Marriage has no financial need in and of itself and independent taxation is better for women’s economic autonomy. So why this sudden shift? Few couples will actually benefit from the TTA and those who do, will receive only a token amount. The £700 million that it will cost to fund the TTA could be used instead to tackle some more urgent social needs. For example, this figure could be used to make up for two of the four years for which child benefit has been frozen or raised by less than inflation. Alternatively, the money could be used to reinstate child benefit as a universal benefit for all children. The higher income charge was projected to take £690 million from parents in 2013/14, almost exactly the same amount as would be paid out to married couples through TTAs from 2015/16. Rather than further reducing the incentive for women to return to work, the money could also be spent on improving childcare, the cost and availability of which remains one of the biggest hurdles for women returning to the workforce after childbirth. Only £200 million – about one third of the amount being spent on TTAs – would be needed to extend the proposed additional childcare help in Universal Credit to all, rather than restricting it to those earning above the tax threshold, as currently proposed. And given how few married couples will actually benefit from the programme, this can only be seen as Cameron’s attempt to appeal the social conservatives of his party. Yet the announcement of the Transferable Tax Allowance in the Autumn Financial Statement passed with little remark from either public or press. Perhaps it was seen as small fry compared to the other headline-grabbing commitments of continued austerity or perhaps the public doesn’t see it as a threat. Either way, if this really is the thin end of the wedge, we should be concerned. The government would be better off helping the most vulnerable in our society rather than using tax to reward one type of living arrangement over another. Is looking after children not work?? By not valuing that as work there is a devaluing of women today who do it…a redefinition of productive work and redistribution for renumeration is needed. Babies and children shouldn’t be seem as a ‘barrier’, it’s not the parent /child relations that needs to change but the state/citizen/labour relations that need adjusting…which is more ‘natural’? I agree that the caring work that women do is not valued as work but there are two issues here. Firstly, women do not become economically independent through their caring work. As valuable as it is to society, we also need women to have financial security. Secondly, both partners in a relationships should take responsibility for caring for children but should also have the chance to have a career independent to this. It shouldn’t have to be an either/or situation. I agree that labour relations need drastic change – flexible working, the ability to work part-time in high powered jobs and more affordable childcare would allow parents to combine fulfilling careers and economic independence with caring for children. I think carers should be rewarded for their work but I don’t want to see care work remain as a woman’s prerogative. Women do become economically independent for their caring work,as do men, but when it is outsourced. It is a political and social choice not to value in-house caring at a level that could really lead to some transformative changes. Instead, the government chops child benefit. I also agree that both parents (male or female) should be jointly caring but this hasn’t occurred anywhere ,even in the gender progressive Nordic states. When caring gets valued is when gender equality will come about. It may also bring up other issues, but it may also allow people to have greater liberty in their choices without a normative bias in either having women at home or the workplace but where women can perhaps more freely make that choice . I completely agree. When care is shared equally between both genders then we will be a lot closer to equality. Both men and women should be free to conduct the work-life balance they choose. There is normative pressure on men to work rather than care which also does not help the problem. The government helping childcare is a step in the right direction but we need a shift in workplace culture to ensure that it is output that is valued rather than presenteeism and that those who work flexibly are not considered to be shirkers. Ensuring that paternity leave is better paid (at the rate of the father’s wage, not the mother’s is one of the key factors).